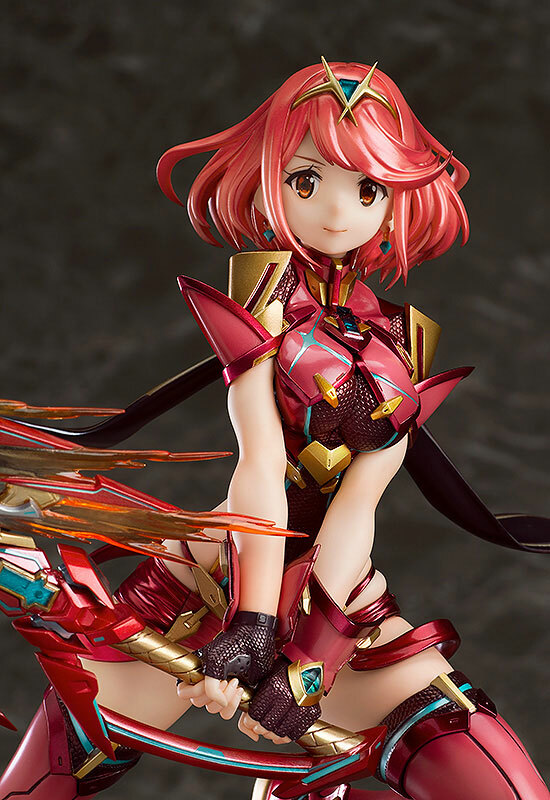 Good Smile Company is going to release this amazing figure rendition of Pyra from the Nintendo Switch game, Xenoblade Chronicles 2. The figure was based on the original character design of artist Masatsugu Saito and I can atest that this figure’s overall looks is accurate. As always, I’m sure GSC will also release the other blades in the future. Figure is slated for December 2018, ¥19,800. More info about the figure below. 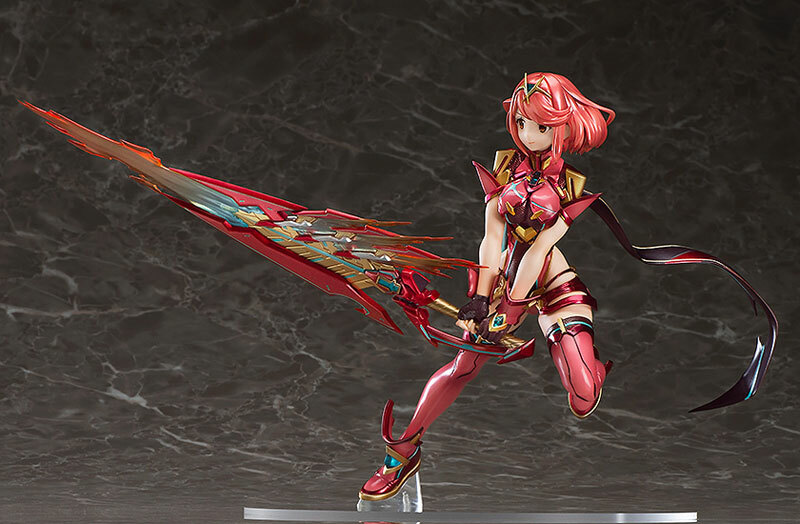 Pyra (Japanese: ホムラ, Homura) is the heroine of Xenoblade Chronicles 2. She is a Special Legendary Blade who grants tremendous fire-elemental power to her Driver, Rex. As a Blade, she is immortal and has the ability to recover from injuries quickly; however, she will die if the Core Crystal on her chest is destroyed, or when Rex dies. Pyra and Rex embark on a journey to search for Elysium, and Rex is devoted to protecting her. 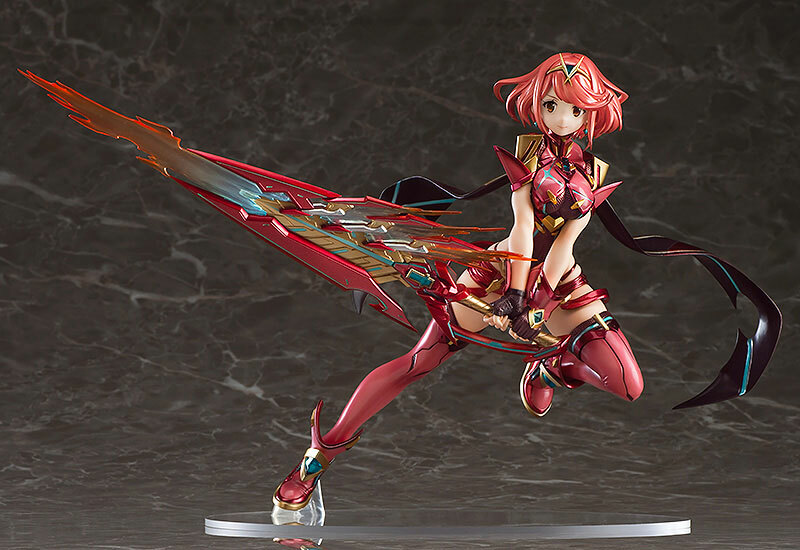 Pyra was designed by Masatsugu Saitō, the lead character designer for the game. Xenoblade Chronicles 2 is an action role-playing game developed by Monolith Soft and published by Nintendo for the Nintendo Switch video game console. The game is part of the Xeno series, serving as a sequel to the first Xenoblade Chronicles, and was released worldwide on December 1, 2017. The game shipped over a million copies within a month of its release.